Separate listing for Faux Leather. 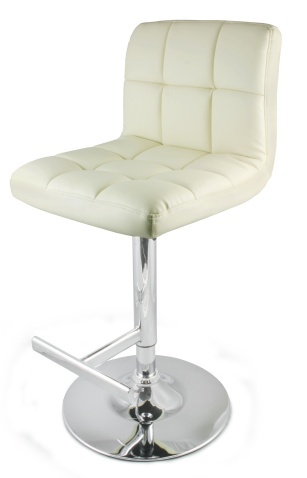 The Amanda Adjustable Bar Stool has an attractive sewn and buttoned square design on the seat and back, both of which are well padded. 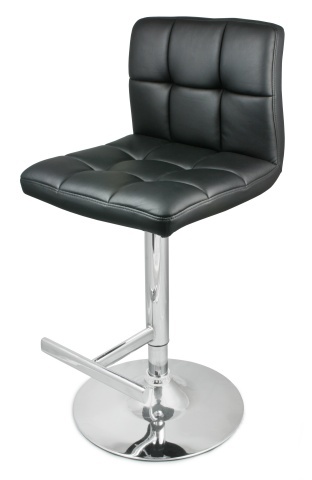 The Seat is available in Black Real Leather. The entire base - Trumpet base, Vertical column and footrest can be supplied with a Brushed Chrome finish as well as the standard mirror chrome finish.